Rafael Furcal is resting his hamstring now but would like to get back on the field Saturday or Sunday, likely in a minor-league game. 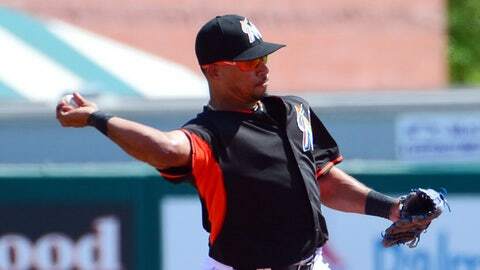 JUPITER, Fla. — Second baseman Rafael Furcal remains optimistic about his readiness for Opening Day on March 31. Furcal hurt his left hamstring March 10 and re-aggravated it last Saturday in his return to the lineup. The 36-year-old has just 18 spring at-bats. Marlins manager Mike Redmond said Furcal would play in minor-league games before being inserted into a Grapefruit League game. Furcal would like to do so by the weekend so he could get an at-bat every inning. What bothers him most is pushing off while running straight. Hitting and fielding have not given him trouble. Derek Dietrich started at second in Furcal’s place for Thursday’s game against the Cardinals. News of Reds pitcher Aroldis Chapman sustaining a fracture above his left eye on a line drive reminded Marlins manager Mike Redmond of what he witnessed during a game in 2003. Redmond was behind the plate at Fenway Park when a Todd Walker liner hit Marlins pitcher Kevin Olsen in the temple. The ball landed in the dugout. Each time Giancarlo Stanton steps to the plate Redmond is reminded of the incident because of how hard the slugger hits the ball. Pitchers’ reaction times aren’t fast enough. Entering spring training, Major League Baseball approved a padded cap manufactured by 4Licensing Corporation subsidiary isoBlox that provides ½-inch additional protection in the front and an inch on both sides to shots in the 80-mph range. Marlins players and coaches have not seen one in person. 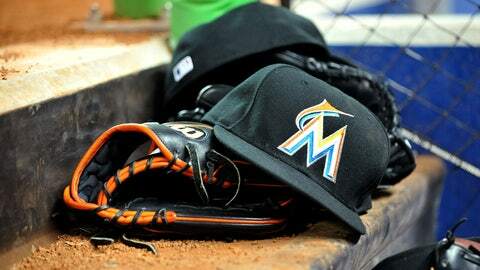 Like the rest of America, the Marlins have caught March Madness. Players finished filling out brackets Thursday morning while Jeff Mathis encouraged teammates to sign up for a pool. ”It’s more for March Madness, but I’ll watch it if a game is on,” Mathis said of his college basketball knowledge. Mathis thinks Wichita State, which finished in the Final Four last year, will win the championship. He admitted to a vested interest — assistant coach Greg Heiar is a friend. But many doubt the Shockers can pull it off despite the first undefeated season in a decade. They cruised through their Missouri Valley Conference slate. Top-seeded Wichita State (34-0) opens play against 16th-seeded Cal Poly (14-19) on Friday night. 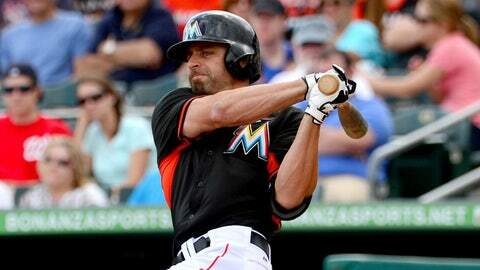 — Ed Lucas (hamstring) started as designated hitter in a minor-league game in Port St. Lucie on Thursday. Redmond hopes to get him into a Grapefruit League game as soon as possible. — A tweak in the spring rotation: Lefty Brad Hand will start Saturday’s split-squad game in Jupiter, while righties Henderson Alvarez and Kevin Slowey will travel to Viera, Fla.
— Righty Tom Koehler pitched 4 1/3 scoreless innings (74 strikes) in a minor-league start on Wednesday. Hand needed just nine pitches for a shutout inning of relief. The pair is battling for the fifth spot in the rotation.